Founder and Flagbearer of the All People’s Party (APC) has described the Chairperson of the Electoral Commission, Charlotte Osei as unfit and as one who is not “matured” to run the affairs of the commission. According to Dr. Hassan Ayariga, he is baffled that the EC boss would openly engage in a public battle with her staff, instead has many other avenues, including using the powers reposed in her as the head of the institution to deal with the issues without the public “drama”. According to him, he has no personal problems with women picking up top positions but his assessment on her is purely based on performance before and after the 2016 elections. Some unnamed staff of the election organizing body last week filed a petition against their boss at the Presidency and the Economic and Organised Crime Office (EOCO) through a lawyer, Maxwell Owusu. The petition which has reached the Flagstaff house accused Madam Osei of among others engaging in corrupt and fraudulent activities in office. The petitioners want the president to forward their concerns to the Chief Justice as required by law for investigations into her conduct, with the hope that the findings will lead to her impeachment and removal from office. Madam Charlotte Osei in a response widely publicized in the media described the accusations as frivolous, baseless and actuated by malice and ill will, adding that the allegations in her view, are “nothing but a product of an overactive evil imagination”, and do not deserve any serious attention. 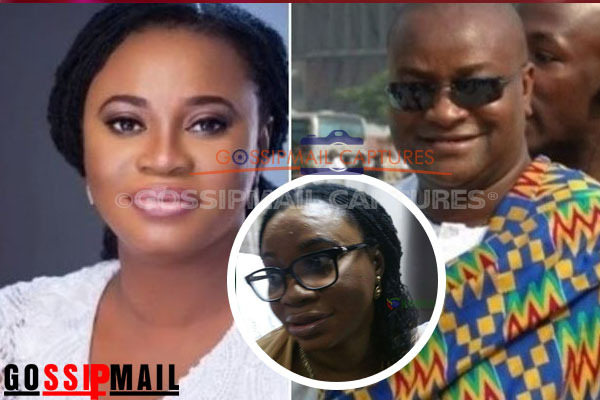 If you would recall,Ghpage.com did an article based on an interview Hassan Ayariga granted Accra based Adom fm after his disqualification by the EC to run the race for the presidential elections revealed that Charlotte Osei was his old but bitter lover who decided to pay him back, thus instigating his disqualification.